Discussion in 'iPhone and iPad Games' started by Boardumb, Jun 2, 2016. 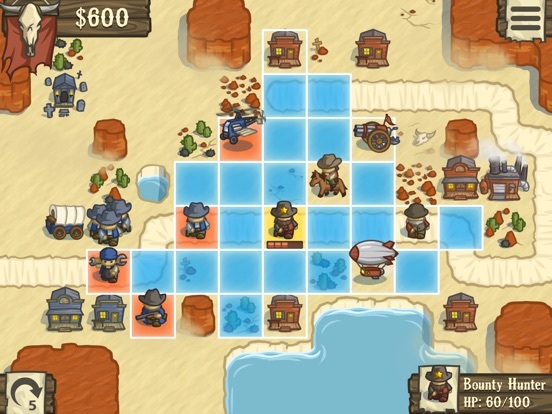 Lost Frontier is a turn-based strategy game, brought to you from the creators of the Battleheart and Zombieville series'. 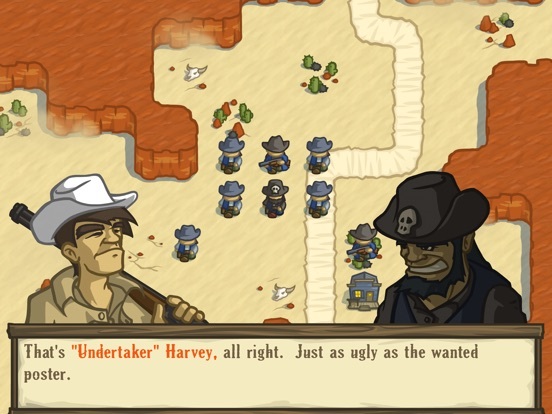 In a fantasy-western setting consumed by steam-punk technology and the supernatural, can you survive with just your wit and a six-gun at your side? 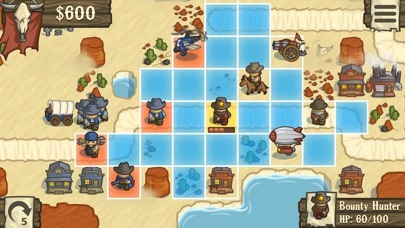 Features: • Story Mode - Play through 24 chapters that introduce you to the gameplay, characters, and world of Lost Frontier. • Challenge Mode - once you've mastered the mechanics, put your knowledge to the test in a series of 20 demanding missions. 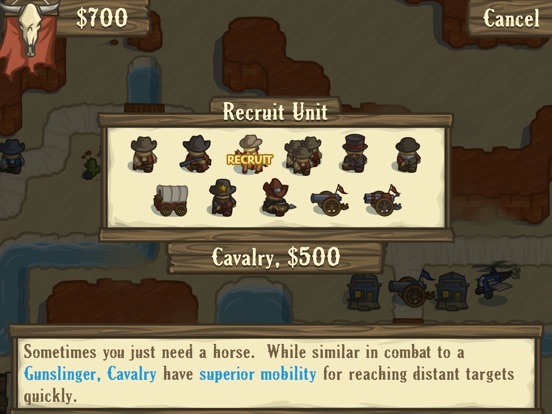 • 20 Unique Unit types - take command of a wide range of Wild West forces, from Gunslingers and Cavalry to civil-war era Cannons and Gatling Guns. 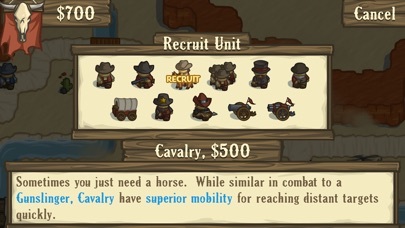 Or, employ more exotic weapons like steam-powered Gyrocopters and Zeppelins, and enlist the help of dark forces like Werewolves and Necromancers. 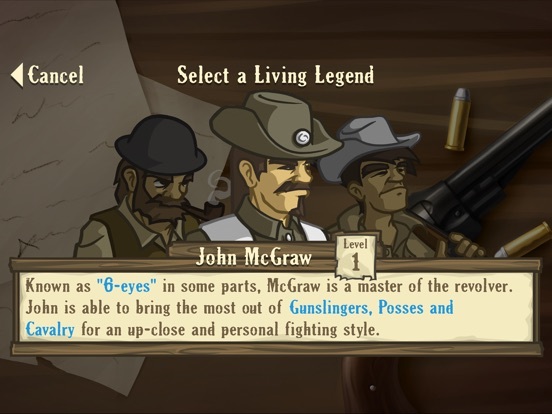 • Living Legends - choose a "Living Legend" as the leader of your forces. Each of the 9 unique legends grow in power as you play with them, and promote different play styles. 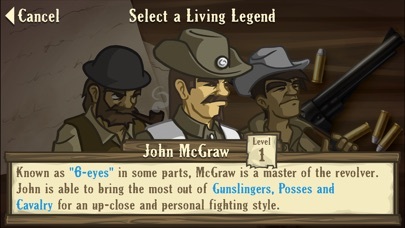 Will you pick your foes off from a distance as Wyatt "Long-Arm" Wilcox, or focus on brute force with the help of ace gunslinger John "6-eyes" McGraw? • Custom Games - choose from a variety of maps, set up the rules, and play with or against AI or human players via local, hot-seat play. IAP to level boost character to max level. Not sure if there are others or not. Totally optional it appears. Played first level, friggin awesome! 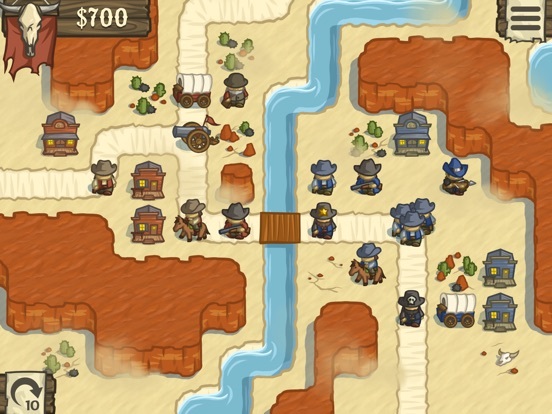 Advanced Wars but Wild West, this is going to be awesome! Agreed, incredibly polished! Already tell I am bummed there is no asynchronous multi. alright.. 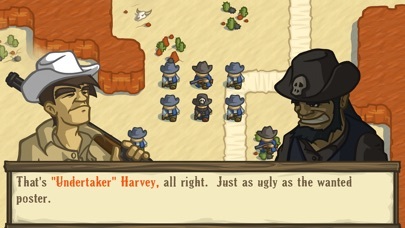 Killed me some Jeffry's Boys... I think this is going to shape up into a great game.. LOVING the UI.. so slick..
Dont care if this game have iaps in it, fk it. ffs its MIKA!!!!!!!!! iap in this game is for what reason? Please see post #2 above. Level boost to max for $.99. Not necessary. Really slick and fun. So far this is really nice. So gooooooood. I know they said there are more heroes to unlock but i think I'll have my hands full just with these ones. I don't even like Wild West themes and steampunk even less but I do like the type of game is it and Mika too so I'll be buying this when I get home. Don't really like wild west themes either but I'll buy whatever new stuff Mika puts out. Brb going to buy this game. Generally I don't either. That's partly why I had to add vampires and tanks. Thanks for taking the time to be completely useless. Easy, tiger. The fact is that his question was addressed in the 2nd post of this thread. Not sure why my pointing this out caused such a response from you, but you have no call to get snippy with me, sir. Give the theme a little bit. 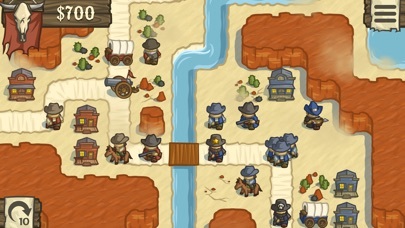 It gets a little less western soon. Fun game again Mika! Not the hardest in the world, but I am not far in. It is enjoyable and has a ton of style. Menus and controls are just plain slick.